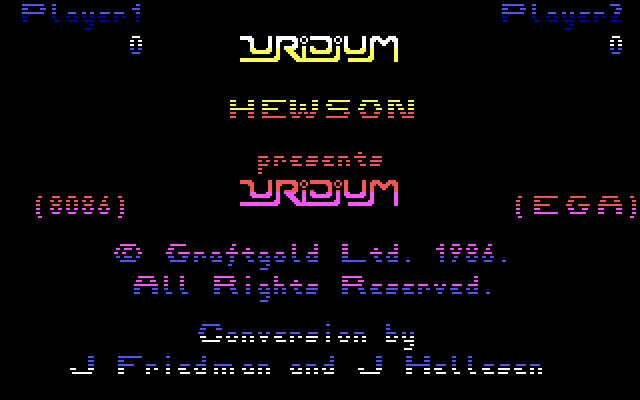 Hewson Consultants developed the DOS science fiction shooter game Uridium in 1988. 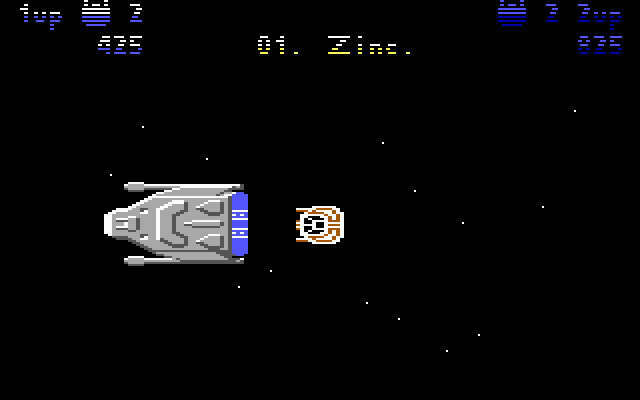 Uridium is currently abandonware, runs on DOS and can be played in single player, multiplayer (hotseat) modes. It's available for download. @AbandonwareDOS, Thank you for your assistance, but there is no setup.exe file in the download. There is only the uridium.exe and logo.dat contained in the uridium.zip file. @Christopher, actually I took the screenshots right from the game you downloaded. Try looking for a setup.exe file. I'm disappointed with this DOS download. 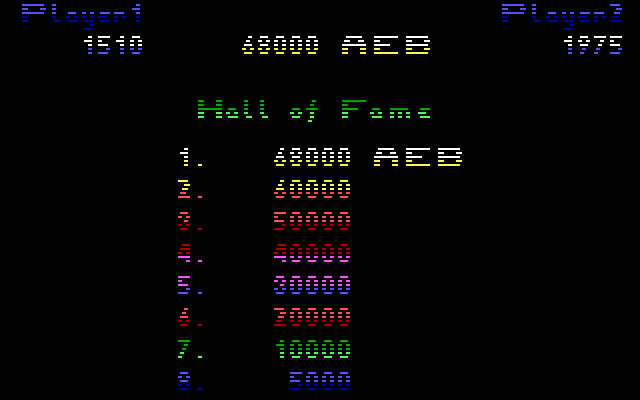 The screenshots show the EGA version which is the one I played on my IBM compatible. 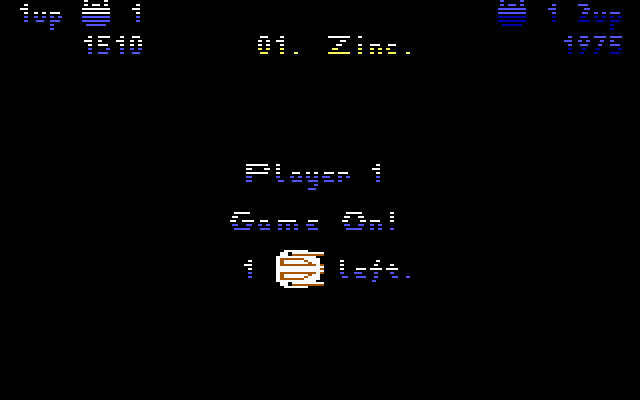 This download, however, is the CGA version. 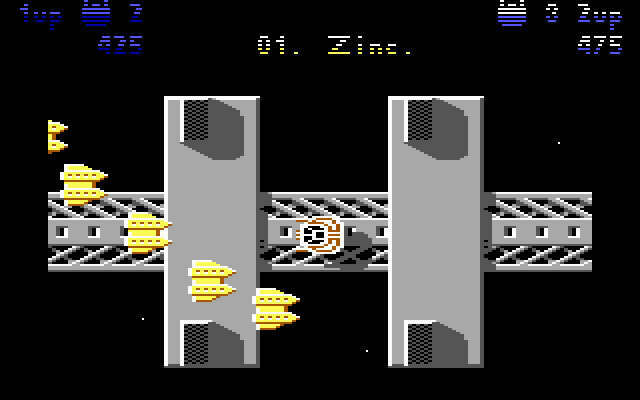 Tell others what you think about Uridium: did you play it? Did you like it or hate it? If you have problems running Uridium, please read the F.A.Q. first. Your e-mail will NEVER be used for spam. 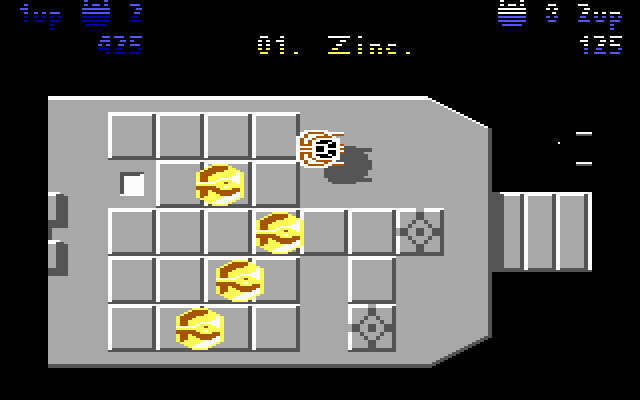 1986 - Arcade-Style Game of the Year, Golden Joystick Awards.